Hi 986 enthusiast! 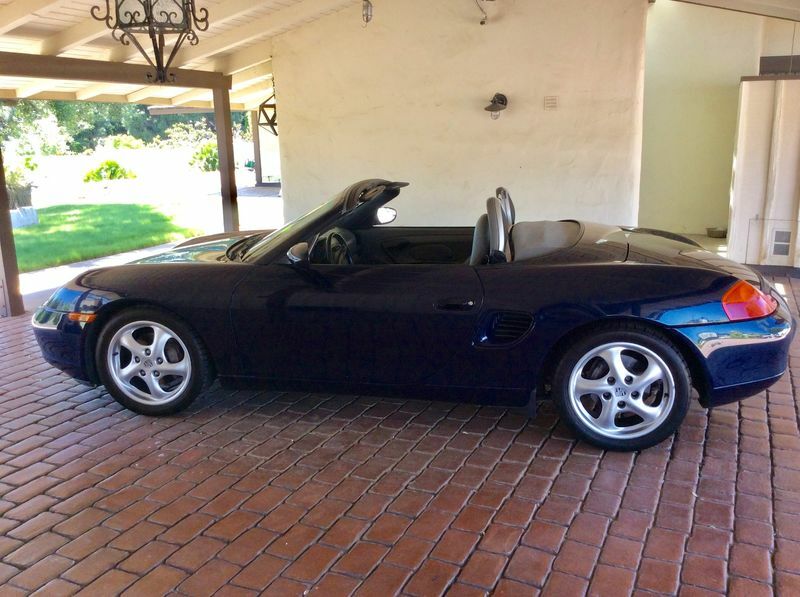 I bought this 99 boxster from a previous co-owner porsche shop. Last year a customer can't afford spending so much money for a transmission rebuild. So the previous owner (co-owner of the porsche shop) bought it for his personal toy last August 2016 and spent more than $4k just for parts (including newly rebuilt transmission from a reputable shop), no labor spent since it is from his shop. Part of the repair or parts replaced was the IMS (from LN Engineering) although the dual row bearing was still in very good shape but since transmission is out, he decided just to change it. All worked done between July (when still owned by shop client) and Sept. 2016. And last June 2017, the seller decided to move to a smaller house and ended up selling it. So I was able to buy it from him. I had atleast 6 914s since 2011 when I 1st got a 75 1.8FI and then buying more since then. Last year there is month that I had 4 914s on my driveway and sold them one by one when I needed some cash. Last June 2017, I decided to sell my 1st 914 and have to replace it with less than the price of my 75 914. And the replacement is this watercooled boxster. I do missed my toy, even my family missed our 75 914. But this boxster is better since my wife likes driving it. You let your wife drive the Porsche?? Just kidding.....welcome to the forum. Nice looking car. Great color. Yes sir! happy wife happy life! 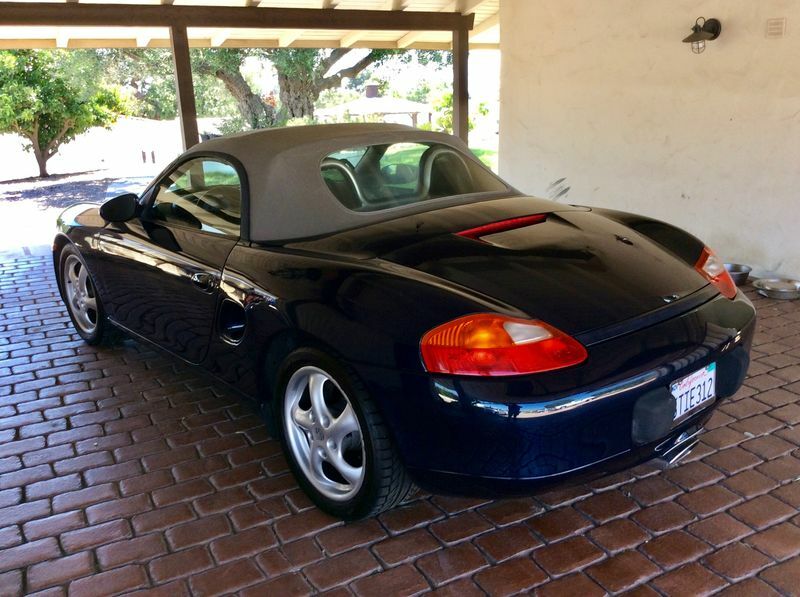 Hello I'm a new member and I also a new owner of 1999 Boxster (1st time owner of Porsche) Silver w/red interior just picked it up two weeks ago from private owner he purchased it new/ had the original window sticker and all service records from Porsche dealer. A 24K miles "garage queen" I did some research on the Boxster's prior and learned about the IMS issues but was understanding this was an issue for the MY2000-2006 with single row bearings. So I had a PPI done and it came up clean. Then as I read more I see that this can also be an issue for the MY1997-99 "garage queens" because letting the car sit is not a good thing. I'm loving the car and the way it handles but I'm concerned about the stories I read of the IMS failures. Think I'll eventually have the bearing changed out before any real damage happens to the motor. Great looking cars guys, You guys enjoy the ride!! Personally, wanted a 914 forever though technically, it really isn't a Porsche. Volkswagen engine and chassis, still a great car. Still own an original service manual for the 914... Have a 2001 Boxster S now, metallic black, full leather interior, 3.2l engine, 6 speed manual trans. Love the color on yours. Black is cool but shows dirt so badly... Nearly bought a guards red 2003 but the seller dragged his heals so long, when the 2001 came available I was there. We've got a lot of info about the IMS Bearing that you can read up on here: Pelican Technical Article: Boxster Intermediate Shaft Bearing Replacement and Upgrade (IMS) - 986 Boxster (1997-04) - 987 Boxster (2005-06). hi jsmedley, since the car has a very low mileage, I suggest that you do a 3k miles change oil for a few times and drive it regularly. check oil and filter of any sign of metal pieces. The issue with dual row bearing they said is only 1% compare to single row that has higher percentage that damage the engine by failed IMS bearing. But if you can afford replacing it, much as well do it now to give u peace.